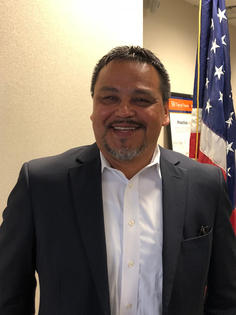 WASHINGTON – Today U.S. Secretary of the Interior Ryan Zinke and the Bureau of Indian Affairs announced the selection of Eugene R. Peltola Jr. (of Yupik and Tlingit descent), from Orutsararmiut Native Council, a federally recognized tribal government, as Regional Director for the Bureau of Indian Affairs (BIA) in Alaska. The BIA Alaska Regional Office oversees offices in Anchorage and Fairbanks, all of which provide services to 227 federally recognized Alaska Native tribes. The selection of Mr. Peltola, fulfills a commitment Secretary Zinke made to Alaska Natives while visiting in 2017. Subsistence Management Program lead, Regional Director Peltola was responsible for coordinating and implementing subsistence management on all federal lands in Alaska on behalf of the Bureau of Indian Affairs, the Bureau of Land Management, the National Park Service, the USFWS, and the U.S. Forest Service. While he has worked in both the public and private sectors since 1984, Peltola’s 34-year federal career has been with the USFWS in Alaska, where he worked at 3 National Wildlife Refuges including as a zone supervisor for Refuge Law Enforcement and Refuge Manager for the Yukon Delta National Wildlife Refuge. Peltola has served in local government, on corporate boards, and owned and operated two businesses. From October 2010 to September 2012, he served as vice-mayor and council member for the city of Bethel, Alaska. While serving the city of Bethel, he sat on the boards of three Alaska Native village corporation entities: Bethel Solutions, LLC, a holding company of an Alaska Native Claims Settlement Act (ANCSA)-established village corporation specializing in commercial real estate construction Bethel Services, Inc., a subsidiary of an ANCSA-established corporation specializing in government contracting and Bethel Native Corporation, the village corporation for the community of Bethel.